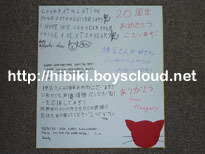 Kamiya Hiroshi 20th Anniversary Project — Thank you! Comments Off on Kamiya Hiroshi 20th Anniversary Project — Thank you! Thank you to all who participated in the 20th anniversary project for Kamiya! The boards were all shipped yesterday and successfully delivered to Bunka Housou today. 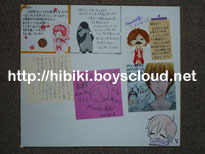 I had them filed in a shikishi board binder. All the boards were wonderful and I really hope Kamiya will enjoy reading them. Thank you all again for participating! 2014 will be Kamiya’s 20th year as a seiyuu so let’s celebrate it with a bang! The project is being organized very early because it will require a lot of time to finish. 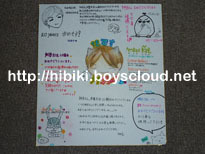 Send Kamiya a yosegaki sign board (shikishi) with messages from fans all over the world. The boards will be divided by country and/or region, and people from that area will write their messages on separate boards. Some areas may have multiple boards depending on the number of participants. This project will require a lot of organization and the cooperation of all participants. 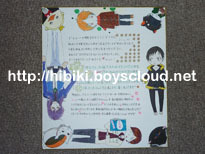 This project is only for passing around a yosegaki sign board. A separate project for letters will be organized later in the year for Kamiya’s birthday. You must submit the participation form by this date. 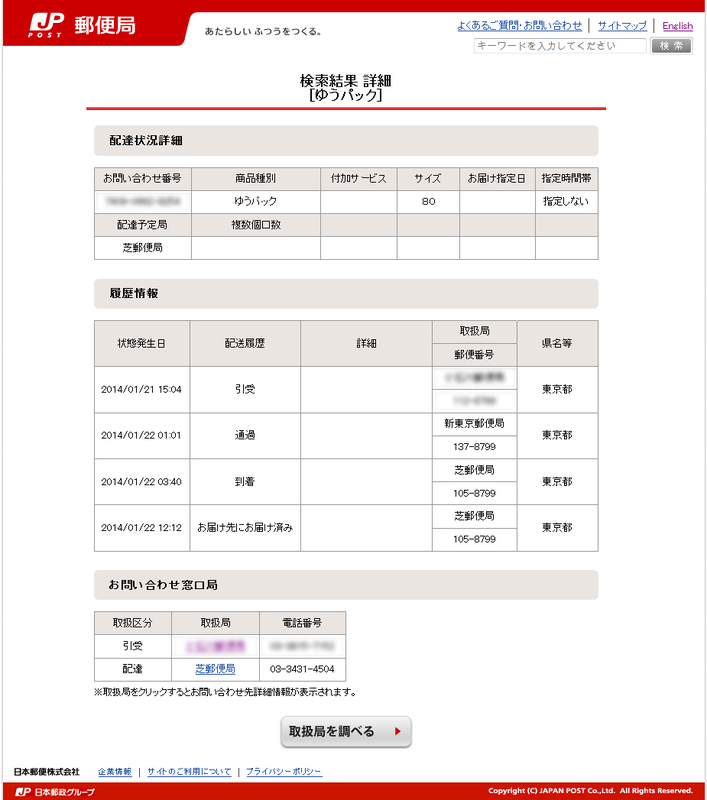 All boards must be received by me in Japan by this date. 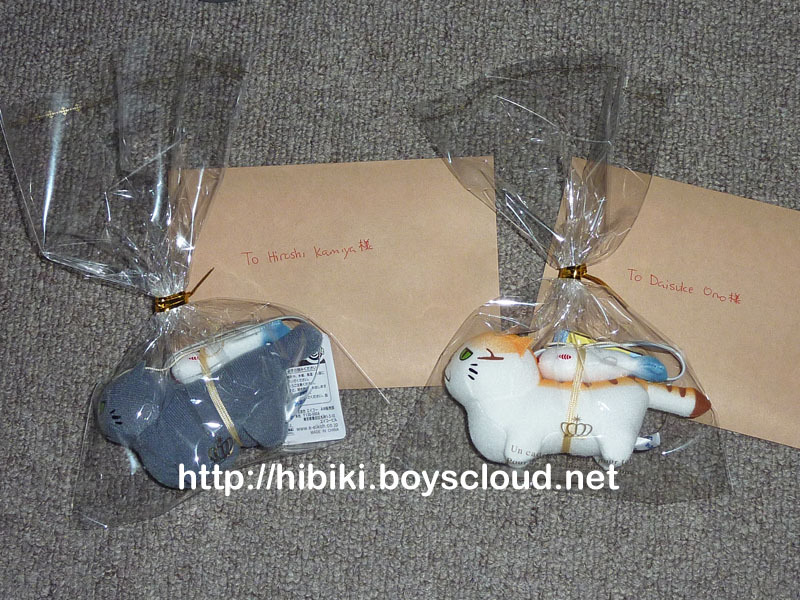 HiroC Birthday Project 2013 — Thank you! 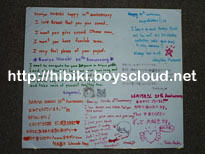 Comments Off on HiroC Birthday Project 2013 — Thank you! 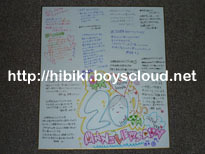 Thank you to all who participated in this year’s HiroC Birthday Project! All the letters that were received were sent today and should be arriving tomorrow (January 26). Any letters for the Christmas Project that arrived late were also included. Don’t forget the DGSFCM Project is still ongoing. The deadline for that is February 16. More details are available here. If any letters for the Birthday Project arrive late, they will be sent along with the letters for the DGSFCM Project. Christmas Project 2012: Thank you for participating! Comments Off on Christmas Project 2012: Thank you for participating! 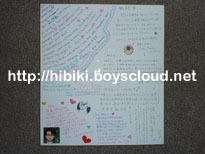 Don’t forget to join in on the HiroC Birthday and DGSFCM projects here! Any letters for the Christmas Project that arrive late will be sent along with one of these projects instead. It’s December and time to think about two things: Kamiya’s birthday in January and the Budoukan event in February! 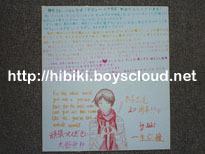 Send fan letters and/or fan art to Kamiya Hiroshi to wish him a happy birthday, or to either Kamiya and/or Ono Daisuke for the DGS Festival Carnival Matsuri event. Birthday letters/art will be sent to Bunka Housou, and letters/art for the Budoukan event will be put in the present box at the event venue. Letters and art only. Sorry, no presents. Art for OnoD will only be accepted for the DGSFCM Project. All submissions must be received by JANUARY 21, 2013 for Kamiya’s birthday, and FEBRUARY 16, 2013 for DGSFCM.